Every day, Watch This offers staff recommendations inspired by a piece of pop culture coming out that week. This week: Twilight: Breaking Dawn—Part 2 has us thinking of vampire alternatives. Cinematic vampires did the glam thing long before Twilight’s Edward Cullen came along with his diamond-sparkly skin and tousled hair. 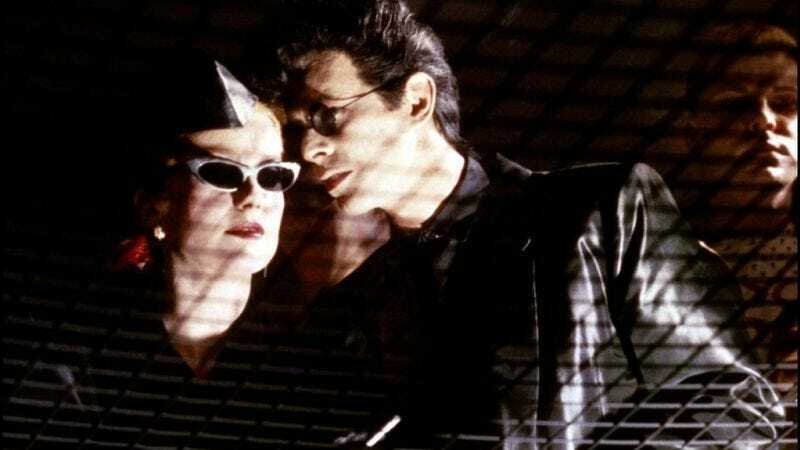 In The Hunger, Catherine Deneuve is a vampire and David Bowie is her blood-sucking, century-old consort, and they live a happy predatory life together in a glitzy ’80s paradise of Bauhaus concerts, blown-out hairspray helmets, and hard-edged Robert Palmer aesthetics. Then Bowie starts to age rapidly, and Deneuve admits that his connection to her could only keep him young and beautiful so long. As he panics and looks for a solution, she discards him and replaces him with new lover Susan Sarandon. As Sarandon says in The Hunger’s commentary track, this was back when lesbian relationships were barely ever seen onscreen—especially among mainstream American stars like her, and especially not with this level of soft-edged, dreamy sensuality. “It certainly changed my fan base,” she says. The Hunger was the feature-film debut of director Tony Scott, who later made his name on bro-riffic action blockbusters (Top Gun, Beverly Hills Cop II, The Last Boy Scout, Crimson Tide, Man On Fire, Unstoppable, etc. ), but here, for once, he was more interested in female eroticism and emotional power dynamics than in explosions and male bonding. He was also expressing his own love of glam and punk, in the visual terms of the commercials he made at the start of his career. The story doesn’t fully hold together, thanks to a tacked-on ending that doesn’t follow with the rest of the film; on the same DVD commentary, Sarandon complains that it blunted the impact of the rest of the movie. But right up until that ending, The Hunger is a banquet of dark, luscious imagery that updates all the sexual metaphor of vampires for its own garish, emotionally charged era. Availability: The Hunger is readily available for purchase on DVD, and is streaming on some instant-viewing services.